Good News …. We have been awarded a grant from the Heritage Lottery Fund (HLF) for £47,800, which together with the grants generously donated by the Dunderdale Trust of the Scottish Episcopal Church (£23,000), from the Pilgrim Trust (£10,000), and from the All Churches Trust (£1750), money from the congregation and neighbours, means that we are now in a position to start work on the renovation and opening access to the graveyard. The initial construction work is likely to take about a year, after which there will be surveys and information included to highlight and explore the heritage of this special graveyard in Portobello and create a peaceful reflective green space on Portobello High Street. Work will start at the end of August 2014. If you are interested in the archeological work involved, especially around the burial site, please see this important information notice. Those who live in Portobello or have visited the area recently will be well aware of the state of disrepair to the boundary wall around St Mark’s church. 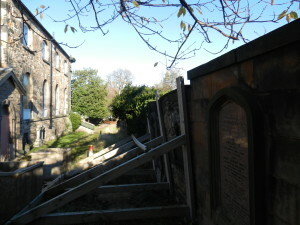 The boundary wall was placed on the Scottish Buildings at Risk Register in 2013 because it had deteriorated to the point of becoming a safety concern and in urgent need of restoration. It is currently reinforced by a temporary wooden retaining structure built to prevent further damage, closing the public pavement on one side, and preventing the use of the most popular gate by the public into the graveyard and the through route to Portobello High Street. There is now a serious risk that sections of the wall are very close to collapse. The wall contains many memorials and headstones, and is constructed using lime mortar. It is B-listed. In 2012, the conservation architectural practice, Simpson and Brown, were appointed to oversee the restoration of the wall. The grants enable the church to start work to restore the wall, reopen the side gate to enable local residents to use the path through the graveyard again, and enable long term planning and redesign of the graveyard space as an attractive, accessible green space of peace in Portobello. 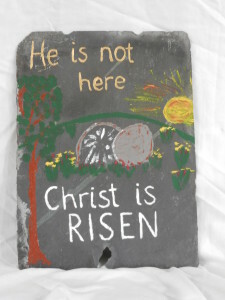 To this end, during the Spring 2014, the congregation created pictures of the events of Holy Week as a meditative walk around the graveyard. This is available at any time of the day. Plans are currently being drawn up to develop the graveyard further as a space of reflection and peace. 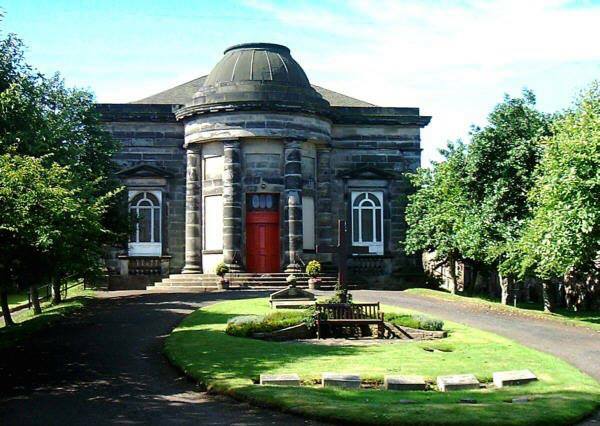 The plans should be available during the Cockburn Association’s Open Doors Day at St Marks (27th September 10-4pm) if you are interested. Many thanks to all our funders!